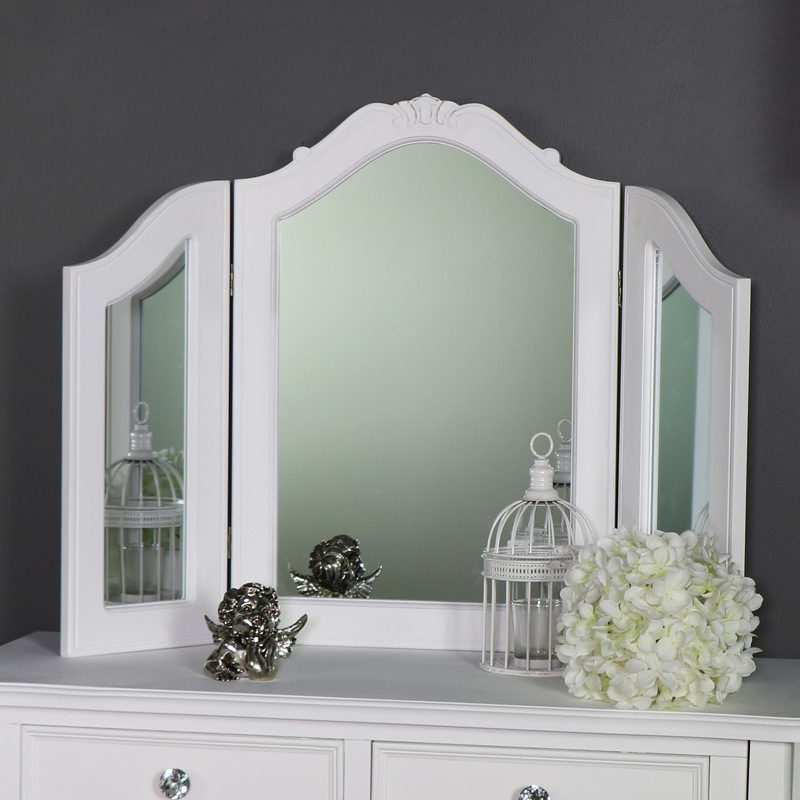 This beautiful mirror is part of our Elise White Range furniture. 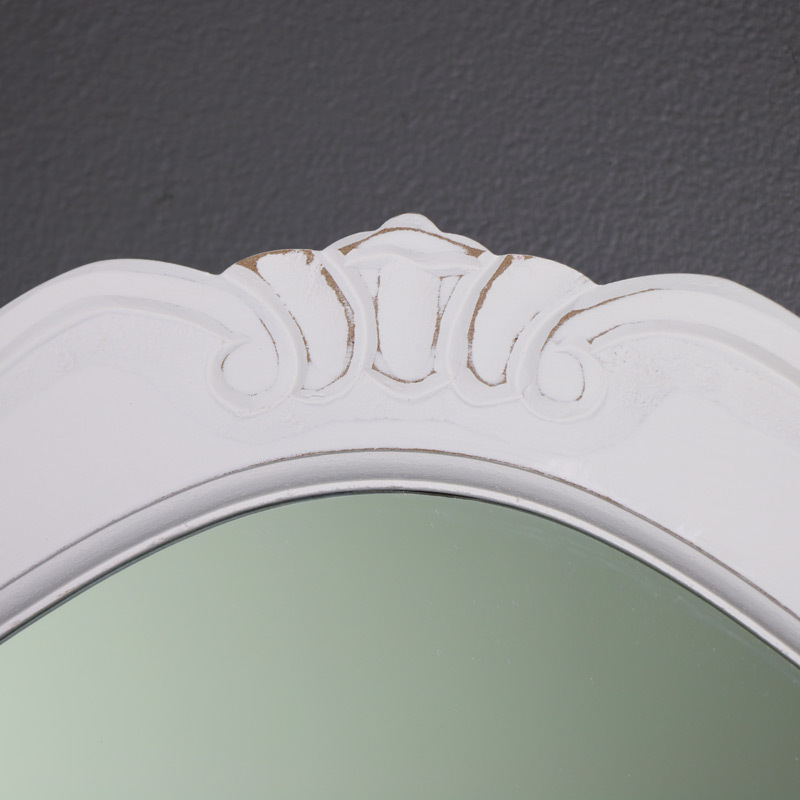 Vintage elegance in a triple design tabletop vanity mirror that will help to add the finishing touch to the Elise White dressing table. Painted white with a ornate carving on the top. Designed to sit on top of a drressing table, the 3 panels allow you to position the mirror to capture every angle. 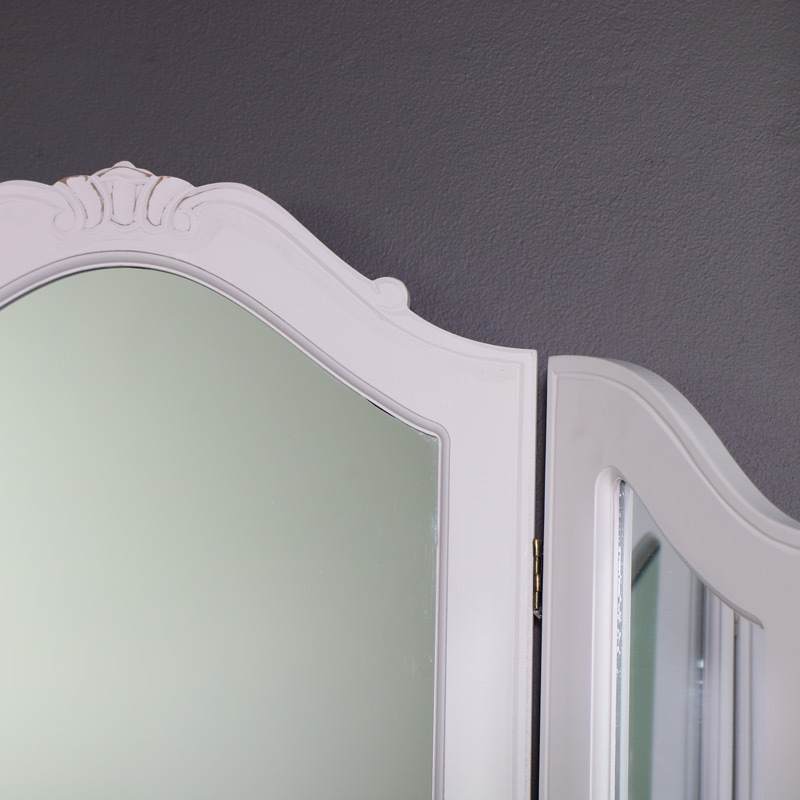 With a gracefully carved top that epitomises the French style, this will be the perfect tabletop mirror to sit in your bedroom. Both functional and stylish, this will sit perfectly on top of our Elise White dressing table set. With even more furniture available in this stunning range for you to fully furnish your home. With a wooden frame painted white and comes fully assembled. This mirror features 3 panels that can be angled to get the best position. We have a great choice of table top vanity mirrors that can be used as a standalone piece or teamed up with other furniture in their range. Wide selection of colours and style with swing and triple designs.